There are a number of psychological factors that make adults hesitate to start a new musical discipline. However the advantages of taking up violin as an adult far outweigh the disadvantages. For one thing, adults progress rapidly as they understand the music itself so much more deeply. Adults also appreciate the need for regular practice and then find that the time given to working the exercises and practicing the pieces is itself refreshing, restful, and energizing after a busy and stressful workday. It would seem that people who want to play violin are almost always perfectionists to some extent. And, yes, there will be periods of missed notes and squeaky sounds. It’s interesting that the most beautiful instrument can be the most challenging. But the answer is always gentle coaching, consistent support, and the understanding that frustration is part of the process. My oldest student was 65; she was playing concertos in two years. Never think it’s too late to start. 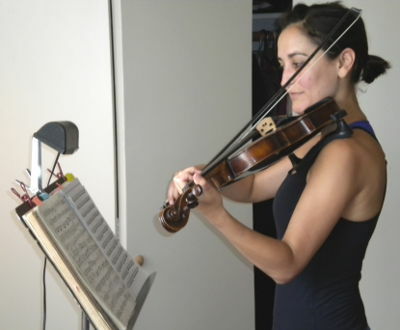 I first came to Ann in my mid-thirties as a busy professional wanting to learn violin for the first time. I had no previous musical experience. Ann made violin painless and enjoyable. She accepted and worked with my time limitations; she listened to my goals, and steadily moved me toward them. Within a few months she was able to give me the gift of making a nice sound that I could hear and improve. Within a few years I was playing Handel sonatas and other music that I love. 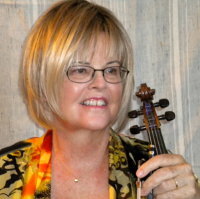 Through her patience and expertise, Ann has turned my violin into a lifelong companion.